I am so excited to share some of the tips and trends that we are seeing for wedding attire. It's important that we help brides match their dresses and suits with the incredible colors available to us in flower kingdom. There are so many ways to inbibe your focal colors into florals, we can get really creative. You may want to create a softer pallete using similar tones. 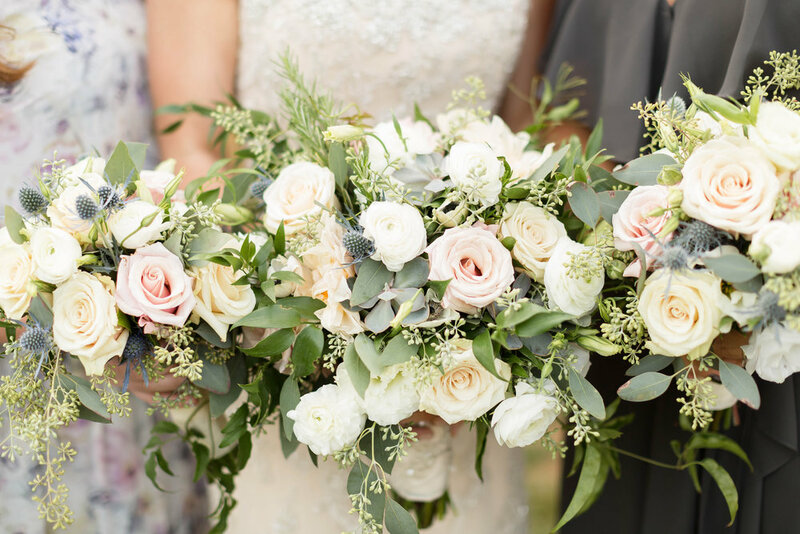 For example, a truly romantic look might include bridesmaids in blush pink with a mix of blush and ivory flowers in each bouquet. Or, you can create a more dramatic look using contrasting colors, choosing suits and dresses that allow the flowers to pop against different hues. 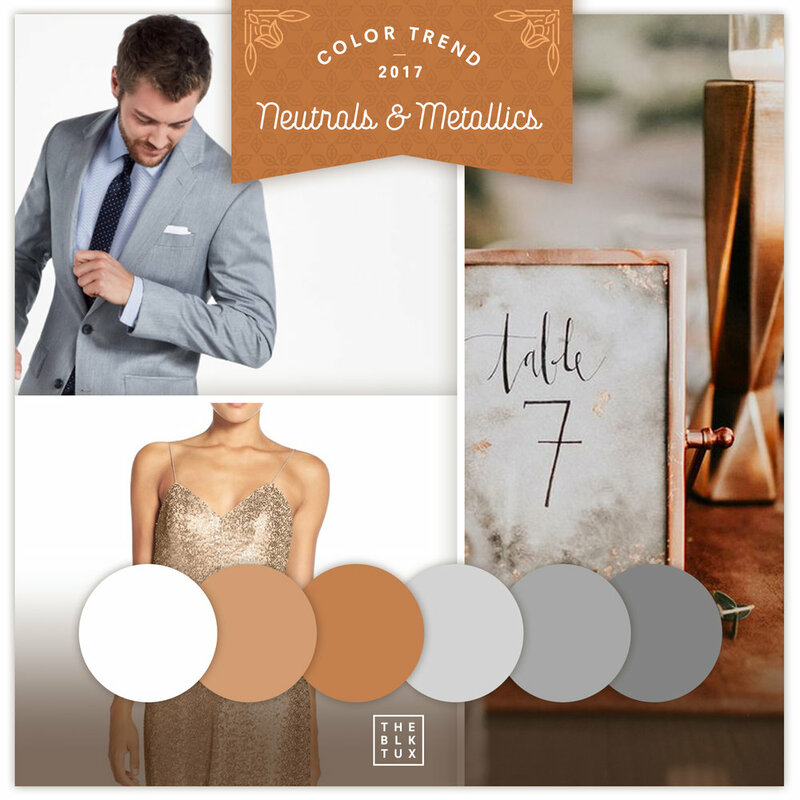 Here are some cool graphics that show some of the recent trends in attire and and some of our recent weddings that created these perfect color combinations. Katie, a designer at J. Morris Flowers, chose some of the hues in this color scheme, adding just a few focal colors. She studied horticulture in college and used her extensive knowledge to create a really natural and whimsical look. Photography by Purple Fern. 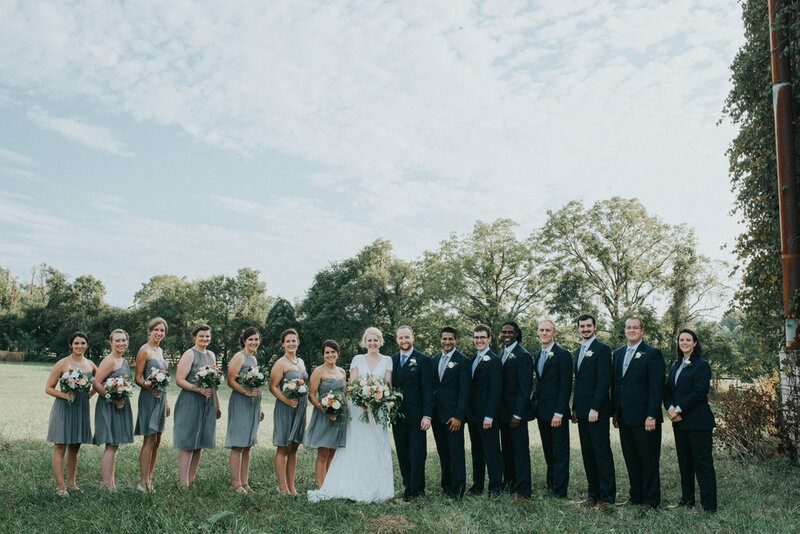 The bridesmaid dresses that Amy chose blended muted colors so that the soft blush pink and green in her bouquets were still able to pop against the suits and dresses. We love how the Garden Roses in her bouquet opened so perfectly to soft shades of pink and peach. Photography by Candice Adelle. 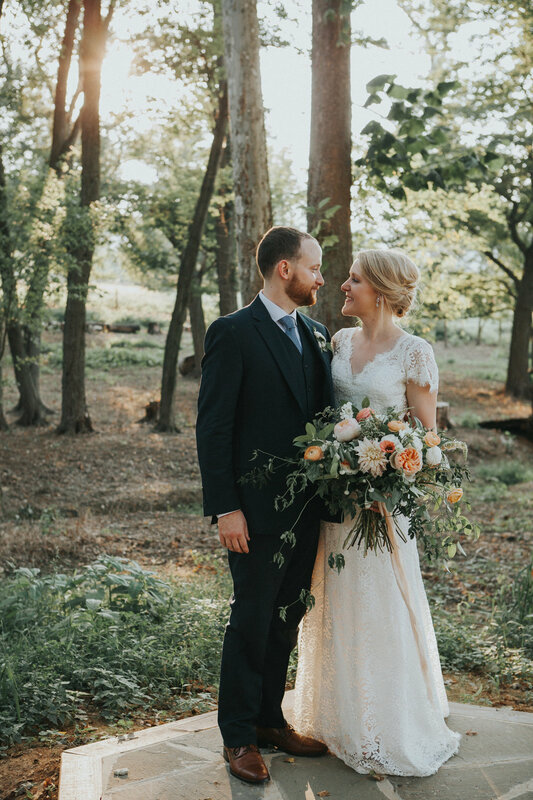 The Peonies and Garden Roses in Amanda's personal flowers were wonderfully soft against navy blue dresses. 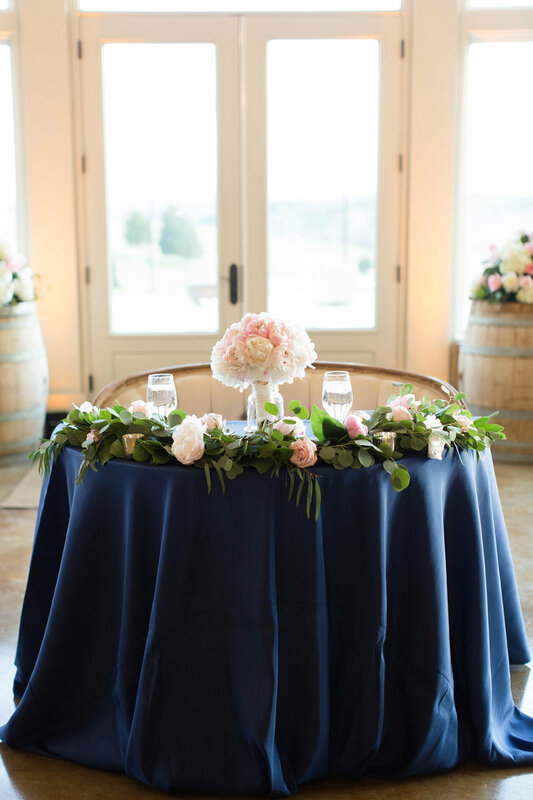 The same held true for her trio of floral centerpieces on navy blue tablecloths. This is a popular combination of colors. Everyone looks good in navy, flowers do to. Navy is a wonderful backdrop for flowers and creates a great balance for photos. Photography by Candice Adelle. The Black Tux has some cool information on trends in suits and tuxedos. Use this link to see what I found.